Commonwealth Games organisers have been challenged on whether they are promoting gambling to viewers by partnering with major event sponsor, the Star Gold Coast casino. Games officials were asked this morning about the message they are sending worldwide by using a casino as a sponsor. 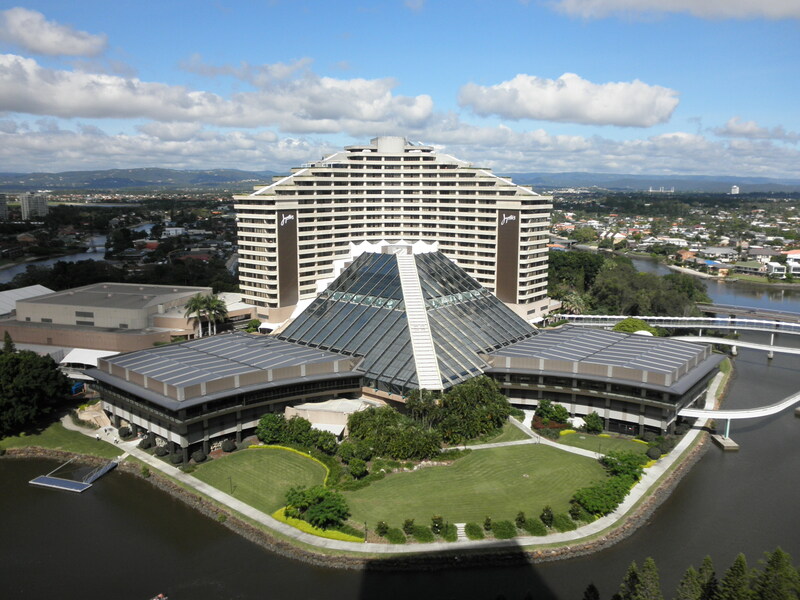 When asked if the 2018 Games were happy to promote gambling worldwide, the federation chose to focus on the casino’s contribution to the Gold Coast. Commonwealth Games Federation CEO David Grevemberg said the Star was a major employer on the Coast. “The focus of that promotion and that work has largely been about the citizens and the employability around the Gold Coast,” Mr Grevemberg said. When asked if the federation wanted people to gamble, the message was unclear. “I think if anything people get a choice, it’s about people taking responsible choices,” he said. GOLDOC CEO Mark Peters said the casino’s corporate responsibility was a major factor in its selection as a games sponsor. “Unfortunately people want to gamble and if you can get the messaging right and Star’s involved in that…that’s why they’ve been included,” Mr Peters said. Mr Peters likened the situation to fast food promotion in sporting events. “Someone will believe fast food operators shouldn’t be involved and it send the wrong message to kids,” he said. The Casino was named the first partner of the 2018 games two years ago. The Star Casino was contacted for comment but declined. If you or someone you know has a gambling problem, please call Gambling helpline on 1800 858 858.